(James) Drummond Bone (1947- ) is a graduate of the University, and a specialist on the works of Lord Byron, who was Dean of the Faculty of Arts from 1991 to 1995, Professor of a English Literature from 1995 to 2000 and Vice-Principal from 1995 to 1999. He was also awarded the honorary degree of DUniv in 2010. Educated at Ayr Academy, Bone graduated MA from the University in 1968 and went to Balliol College, Oxford as a Snell Exhibitioner, 1968 to 1972. He was a lecturer in English and Comparative Literature at the University of Warwick, 1972 to 1980, and then came to Glasgow as a lecturer in the Department of English Literature, 1980 to 1989. He was a Senior Lecturer from 1989 until he became a titular Professor in 1995. From 1991 to 1995, he was Dean of the Faculty of Arts, and in 1995 became Vice-Principal. Bone left Glasgow in 2000 to become Principal of Royal Holloway, University of London, and Pro-Vice-Chancellor of the University of London. He became the Vice Chancellor of the University of Liverpool in 2002. Bone was Chairman of the Liverpool Culture Company and directed the preparations for Liverpool to become European Capital of Culture in 2008. He retired from Liverpool in this year and in 2011 became Master of Balliol College, Oxford. Professor Bone was knighted in 2008 for his services to Higher Education and the regeneration of the North-West. 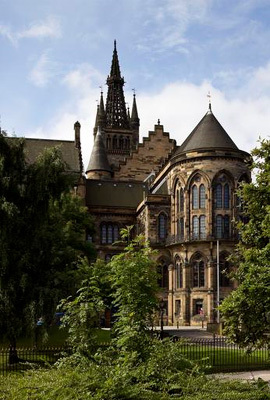 He was also awarded the honorary degree of Doctor of the University (DUniv) by the University of Glasgow in 2010.